Here, Patriarch Bartholomew quotes directly from the letter of the Fathers of the Council of Carthage (which began in 419) to the Pope of Rome, which was composed at the conclusion of the Council and is appended to the Council’s canons. By quoting from this letter, Patriarch Bartholomew invites us to examine the letter in full, and also to review the canons of the Council that produced it. So, what does the letter say — and what was the Council about? Moreover whoever desires you to delegate any of your clergy to execute your orders, do not comply, lest it seem that we are introducing the pride of secular dominion into the Church of Christ which exhibits to all that desire to see God the light of simplicity and the day of humility. Before we continue in our examination of the Council of Carthage, let us pause for a moment and consider this quotation. The context of the letter is that the African Church, through its bishops assembled at Carthage, is telling the Pope of Rome in no uncertain terms that he is not welcome to interfere in their jurisdiction or hear an appeal from a clergyman they disciplined. It is remarkable, then, that the Ecumenical Patriarch would choose to pull a quotation from this letter, out of context, to support his own intervention into the jurisdiction of another Local Church and his own granting of an appeal to another Church’s defrocked and excommunicated clergyman. 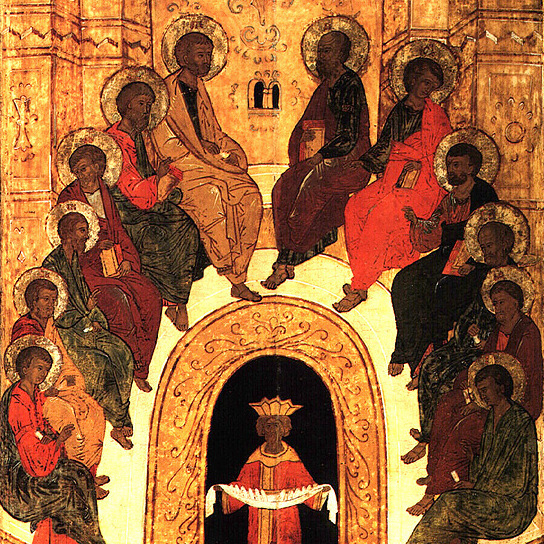 It also seemed good that presbyters, deacons, and others of the inferior clergy in the causes which they had, if they were dissatisfied with the judgments of their bishops, let the neighbouring bishops with the consent of their own bishop hear them, and let the bishops who have been called in judge between them: but if they think they have cause of appeal from these, they shall not betake themselves to judgments from beyond seas, but to the primates of their own provinces, or else to an universal council, as has also been decreed concerning bishops. But whoever shall think good to carry an appeal across the water shall be received to communion by no one within the boundaries of Africa. Likewise it pleased the whole Council that he who shall have been excommunicated for any neglect, whether he be bishop, or any other cleric, and shall have presumed while still under sentence, and his cause not yet heard, to receive communion, he shall be considered by so doing to have given sentence against himself. For reasons that remain unclear, Patriarch Bartholomew selected a quotation in support of his own decisions and authority from a letter and a Council that argue in precisely the opposite direction. This certainly calls into question the reliability of the Ecumenical Patriarch’s prooftexting and precedent citation. Perhaps, though, we can see the hand of Divine Providence, whereby the Lord, in his abundant mercy, is using the voices of His holy bishops assembled at Carthage sixteen centuries ago to call to repentance His misguided but still beloved Patriarch of Constantinople.